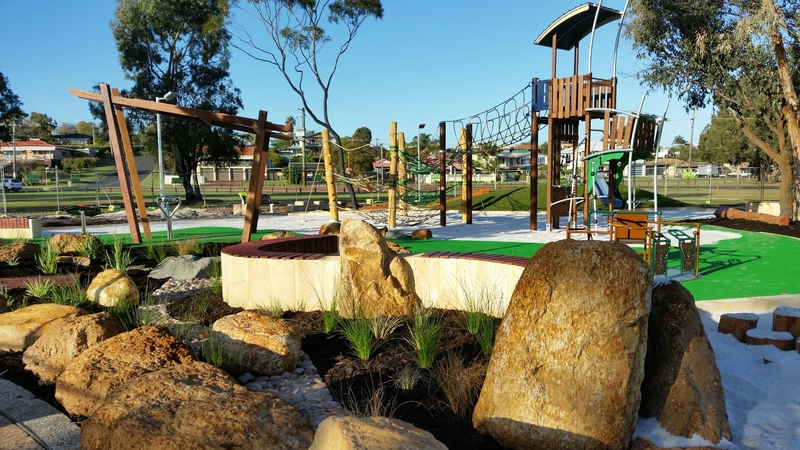 The Nature Playground forms part of the Eaton Foreshore Redevelopment Stage 2. 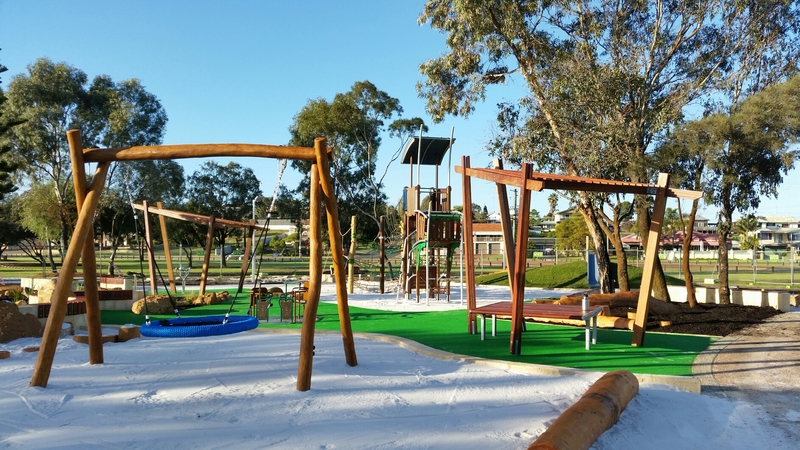 Including Play equipment, log steppers, a path around the boundary for scooters and plenty of relaxed seating – all set against the stunning backdrop of the Collie River foreshore area in Eaton. 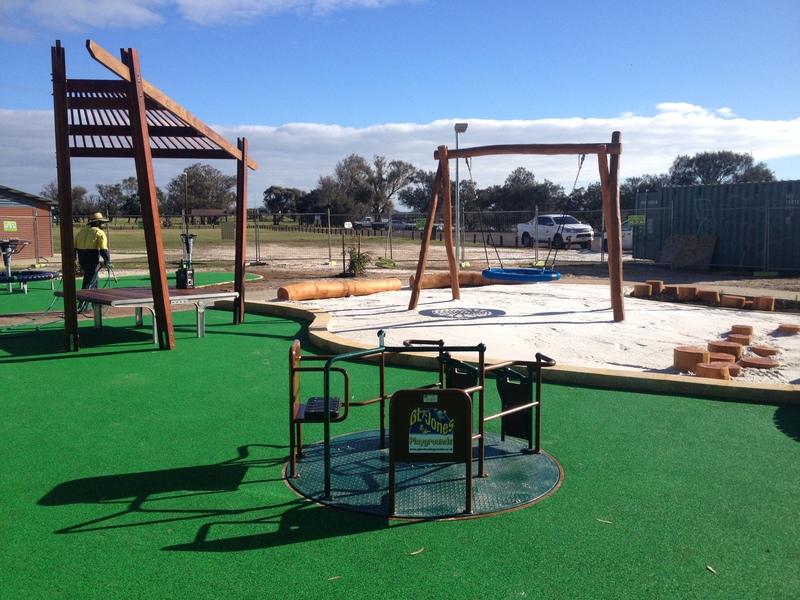 Play equipment and rubber soft fall. 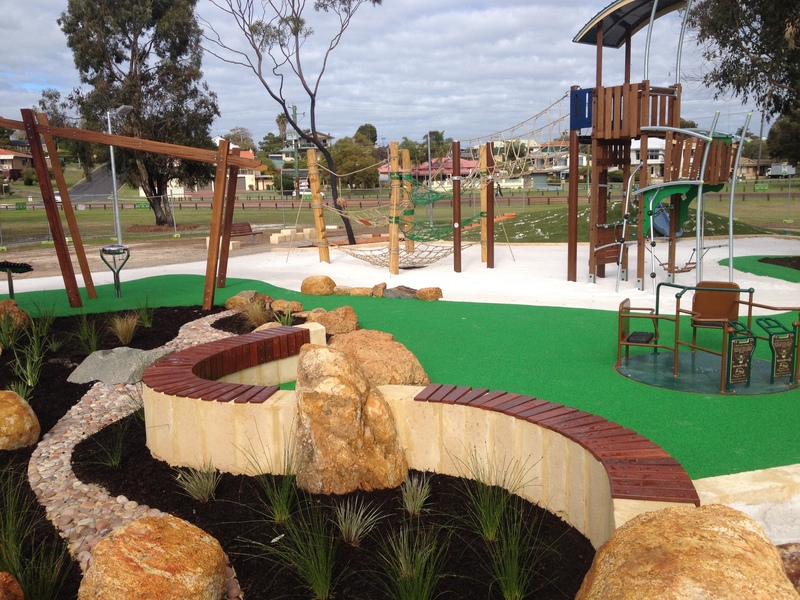 Tree house, pebbled dry creek bed, swing and attractive bench seating.